Going 87mph in a 50mph speed zone is liable to get you slapped with a speeding ticket. Andrew “Freddie” Flintoff discovered this in 2008, but fortunately his lawyer was bright enough to find a loophole: the police hadn’t issued the fine within the designated time limit. There you go. But you don’t need to have the money to afford a fancy motoring offence solicitor to appeal your speeding fine successfully. The technology that the law enforcement uses to detect your speed is by no means watertight, so it’s always worth challenging a fine, when it comes through the letterbox. 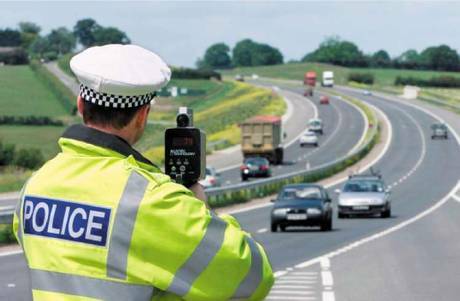 Read on for ways that you can potentially contest your speeding ticket. Obviously, in an ideal world, you would never get caught speeding in the first place, and to this end, you can do yourself a favour by investing in a GPS device that alerts you to cameras and radar guns. Generally, it’s best to assess your situation, if you are caught, and decide if the fine is fair. Often, it’s best to just bite the bullet and pay the fine, if you feel you did do wrong, as it can save you a lot of hassle in the long term. However, if your ticket isn’t issued within a fortnight, you can write back to the police, despite their decreasing numbers and point out that the authorities are outside the legal limit. You may be one of the lucky ones and the charges could be dropped then and there, but don’t bank on it. If you share the car, you can effectively plea that you’re unaware of who was driving, when the speeding crime occurred. You should have a very good reason for not knowing, otherwise this won’t wash with the police. For example, you were moving house and the car had been driven down the same stretch of road multiple times by multiple drivers. Yet, this is a risky path to take, as people who can’t identify the driver could still be fined £1,000 and have three points put on their licence, so your reason better be plausible. Sometimes you look at a ticket and think to yourself, ‘I am almost certain that I wasn’t speeding.’ It may, in this situation, be a fault of the measuring equipment. If you think this is the case, you are within your rights to ask if the camera had been calibrated recently and if it was working optimally on that day. When the police cannot provide evidence of this, it is likely that your ticket appeal will stand. Going to court is an option, but it often ends up costing you a lot more than the price of a standard speed ticket. You may even be awarded greater fines and penalty points. If you think you stand a good chance in defending yourself, however, you could prevent penalty points going on your licence and making your insurance premiums higher.